Kybella injectable treatment is an FDA approved procedure to reduce excess submental fat and get rid of the double chin appearance without cosmetic surgery. At the time of initial consultation, the treatment provider will explain various aspects of Kybella procedure to help the patient make a well-informed choice. Some providers may prefer to present Kybella injectable double chin reduction before and after photographs during the first consultation. This can allow the patient to understand the potential effectiveness of Kybella in a better way. Fundamental, sharp, and facial plastic and reconstructive surgeon Dr. Eric Yavrouian provides Kybella injections to patients in Glendale, Pasadena, Burbank, Greater Los Angeles, Beverly Hills, CA, and surrounding communities in this part of California. What are Kybella Injectable Before and After Images? Before and after images in case of Kybella injectable double chin reduction treatment refer to a set of pictures belonging to a previous patient who has received the same treatment with a satisfactory outcome. The set includes pictures taken prior to the treatment and after the treatment at a time when all the injection sessions are completed and full effects of Kybella are visible. The provider will take care to obtain the photos with the patient’s consent, and present them before new patients in an appropriate manner. The identity of the patient may be kept undisclosed as per the standard protocol. The only goal of the provider here is to use these photographs as a visual aid to explain to new patients what Kybella injections can or cannot do for them. Now this will be mentioned down below but it really cannot be emphasized enough and that is the power of digital technology. Digital technology has transformed the game for the better for a number of industries, pretty much all of them and the plastic surgery industry is one of them. Now patients can see amazing and superlative pictures up front without letting anyone else know what they are contemplating. Gone are the days when a patient had to rely on vague brochure pictures or even Polaroid pictures that left much to be desired. Kybella double chin reduction procedure is different from liposuction plastic surgery. The injectable treatment is one of a kind, and it received the FDA’s approval in 2015. For a new patient, it can sometimes be difficult to understand what kind of improvement in chin contour they can expect with this treatment, and whether the injectable procedure will meet their personal cosmetic goals. Some patients may require only one to two Kybella injection sessions, while some others may need up to five to six treatments. In some cases, Kybella injectable may have to be combined with another treatment to meet the patient’s needs. In each case, the patient can make the best decisions when they have access to Kybella double chin reduction before and after photos. Patients who have a positive outlook, clear aesthetic goals and realistic expectations are usually able to achieve high satisfactions levels in innovative non-surgical treatments such as Kybella. If the patient forms false expectations, they may end up being disappointed with the results, even if the treatment has been performed successfully. Such unpleasant scenarios can be avoided with the help of Kybella before and after photos to explain to the patient clearly what to expect and what not to expect from the procedure. Therefore, prudent and transparent treatment providers often like to present before and after photos during the first consultation but in this case and with this amazing website a patient can see these pictures without notifying anyone. 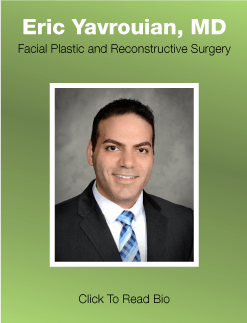 Facial plastic and reconstructive surgeon Dr. Yavrouian receives patients from Glendale, Pasadena, Burbank, Greater Los Angeles, Beverly Hills, CA, and other towns and communities across the horizon for Kybella injectable double chin reduction procedure. To reiterate what was touched upon above about digital technology is now a patient can make a stellar decision without getting other people involved. This saves more time and brings more people into the fold. Now a patient does not have to have a consultation since they can see these salient pictures online and apply them to their own personal situation. If a patient does sign off on Kybella chin reduction, they will be less anxious because they will know more about what they are getting into. This is just better for everyone involved.